I like the tips, but I would really love if you could send me a link to at least three magic tricks that I should practice and try to master. The Merchant of Magic has 20,000+ magic tricks to choose from, which makes it extra hard choosing which one to spend your valuable practice time on. It’s quite common for visitors to ask the team if there is a small selection of tricks that they rate above all else.. There is. 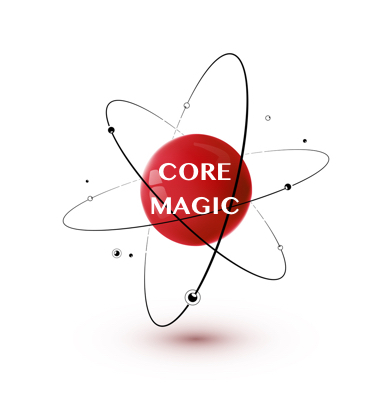 And these core magic tricks have nothing to do with being ‘Hot and New’. There are a handful of tricks that are essential core training for every close up magician (arguably even the stage and mentalist performers too) as part of their ‘schooling’ or ‘learning the chops’. These tricks are impressive in and of themselves, but they also act as a springboard to introduce a whole range of skills such as acting, misdirection, stagecraft, audience management, and presentation into the practice program of the magicians wise enough to study them. This isn’t really a single trick, it’s a whole range of ‘phases’ that build into a routine. It’s entertaining, practical, and from a practice point of view, it’s perfect for learning several forces, misdirection techniques and of course… The Double Lift. I especially like the way that the effect is repeated over and over, each time with a different presentation and method.. It forces the student to think about how card magic needs energy working up to a climax. The ambitious card is a complete course in card magic all by itself. Rope magic can be very strong for adult audiences, and the techniques you will learn as you master a good rope routine, will ripple out across the whole of your work. I love Richard Sanders teaching in the Fibre optics DVD, and it’s one of the first routines I ask students to study. It’s quite a journey to slowly add in all the phases, but that’s as rewarding as it is entertaining. I can’t recommend this enough. I started out with coin magic, and it’s been my life long love. A good coins across is a fine example of core magic tricks that teach audience control, misdirection and down and out cheek. It’s not easy, but then again… You really should start working on something that’s going to ‘push you’ as soon as possible.. I find that magicians that take the time to work on the 4 or 5 core sleights in coin magic, tend to do well across all other fields. The skills learned as you present magic with coins, are not only unique to coins, but also, once mastered, they can transfer to your general sleight of hand too.